Have you seen the latest Star Wars movie, The Force Awakens? Don't worry, I'm not going to tell you about it. I'll let you watch and tell me how you find it. 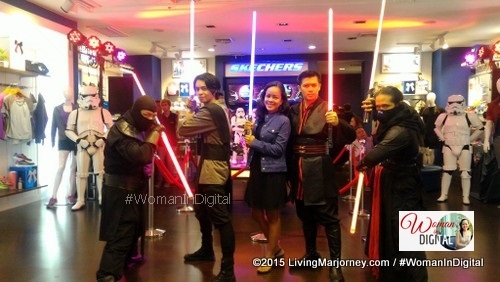 Few days before the holiday break, I attended several events celebrating the comeback of Starwars movie. 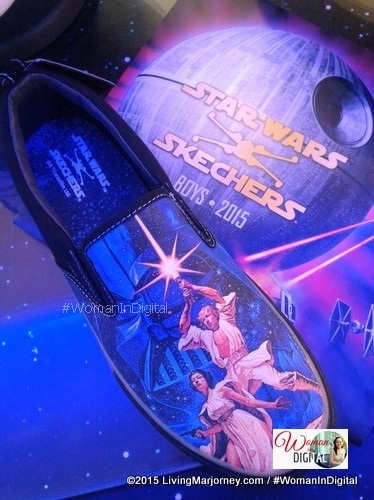 One is the SkechersXStarWars collaboration. 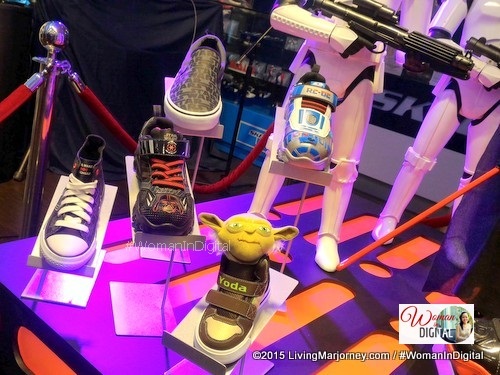 Skechers released Star Wars designed shoes for infants, kids and male adults. 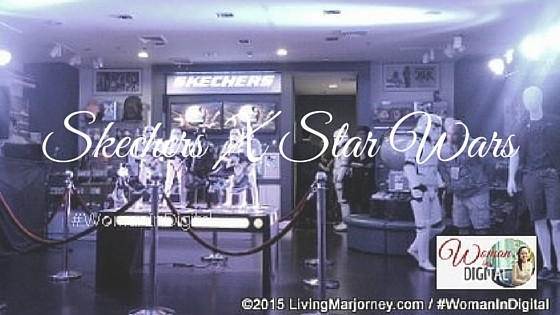 The private event was held at Skechers Glorietta store attended by Star Wars and Skechers fanatics. 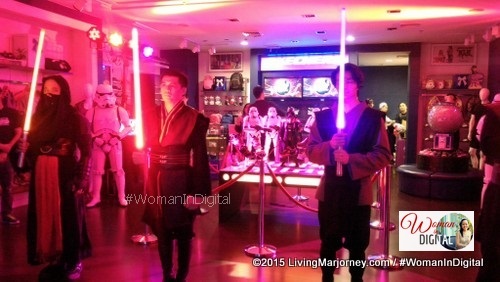 At the entrance, guests were given free Star Wars posters. There's a photo booth complete with props like the famous Light saber. 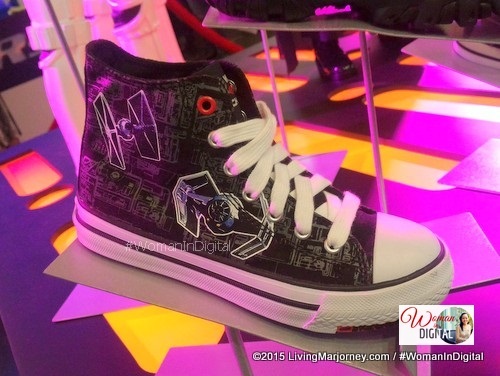 May the Force be with you while trooping in the Star Wars™ Skechers: Dynamo - Continuem shoe. Smooth leather, synthetic and mesh fabric upper in a slip on sporty casual sneaker with stitching and overlay accents. 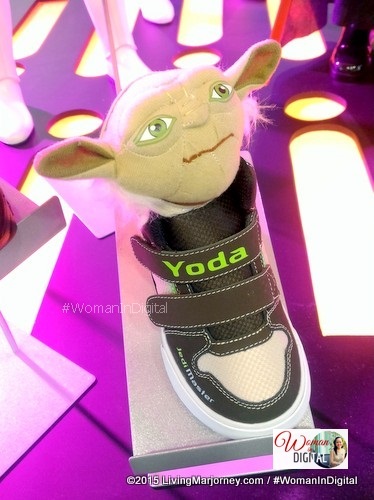 I love the plush Yoda™ head and fun print designs on Skechers: Vert - Wise One sneaker. If I have a child, I would definitely get one for him/her. Smooth trubuck leather, synthetic and mesh fabric upper in a two strap front casual high top sneaker with plush Yoda™ head and fun print designs. This one will fit perfectly on toddler's feet. 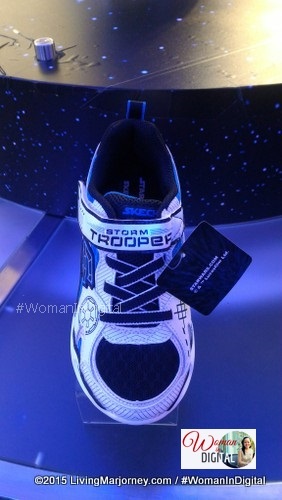 This is the droid you're looking for - the Star Wars™ Skechers: Damager III - Astromech shoe. 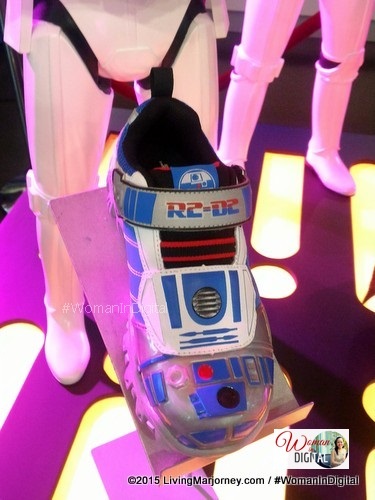 It's made of leather, synthetic and mesh fabric upper in a slip on sporty casual light up R2-D2™ themed sneaker with fun light and sound effects. 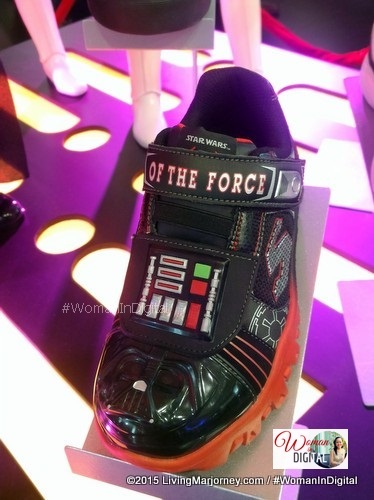 The event brings back childhood memories of the old Star Wars movies celebrated with well-loved shoe brand, Skechers. 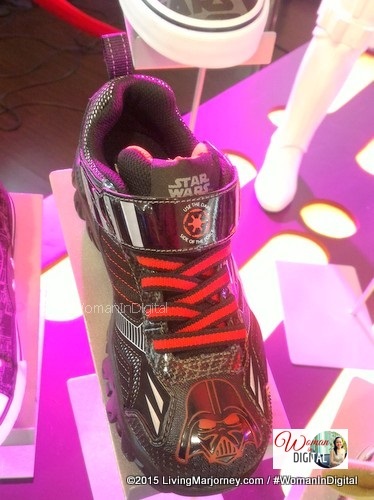 During the event, I am contacting my brother and sending him photos of the SkechersXStarWars collection. He got too excited for a new pair of shoes, his 1st pair of Skechers shoes I must say. He chose the Star Wars: Jagged – Starfleet for my brother, Joseph. It's made of soft woven canvas fabric upper in a lace up casual high top sneaker with stitching accents and overlay accents. Luke Skywalker™ or Darth Vader™ classic character and cool airbrush-look mural designs. This time, no Skechers shoes for me. I'm happy knowing that my brother love his new pair of Skechers. 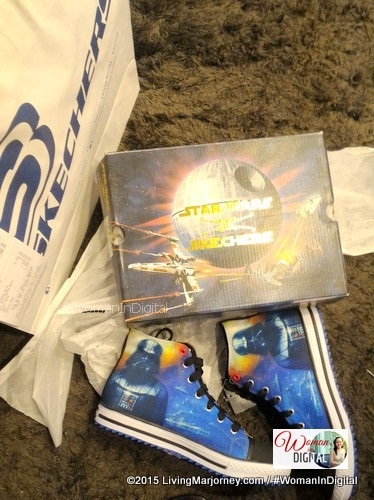 Thank you Skechers and may the force be with you, always!